Southern region of India is home to a number of well-known wildlife reserves of the country with a variety of wildlife species. Opt for South India Wildlife Tour, a package of 16 nights and 17 days, if you want to explore the wildlife of this region and treat your eyes to the surrounding lush greenery. During the tour, you visit popular wildlife reserves such as Nagarhole, BR Hills, Bandipir, Eravikulam, Periyar and Kumarakom. The itinerary also includes sightseeing in Delhi, Ooty and Kochi. Arrive in Delhi and get an assisted transfer to your pre-booked hotel. The rest of the day is free for leisure activities- you can interact with the locals, shop at the popular markets or gorge on lip-smacking street food. Stay overnight. The morning of day 2 is at leisure. Post lunch, embark on a city tour covering the major attractions like India Gate, Qutub Minar Complex and Humayun's tomb. Drive past the President House. Stay overnight. On the third day, get transferred to the airport to board a flight to Bangalore. After arrival, complete the check-in formalities at your hotel. Later, leave for an excursion to Mysore (Drive 3 hours). Indulge in sightseeing. Visit Brindavan Gardens- a beautiful garden with colorful musical fountains and the magnificent Mysore Palace, also known as the Amba Vilas Palace- its construction was commissioned in 1897 that got completed in 15 years and was later expanded around the 1940s. Back to Bangalore for an overnight stay. Begin driving to the Nagarhole National Park, also known as Rajiv Gandhi National Park, located around 80 kilometers away from Bangalore. The park boasts of a healthy prey-predator ratio, with a good population of tigers, elephants and Indian bison. On arrival, check-in your jungle resort. The afternoon is scheduled for a jeep safari trip inside the national park. During the safari, spot animal species like leopard, wild dogs, sambar, barking deer, spotted deer, wild boar, Indian rock python, common toad, scimitar babbler, four-horned antelopes, along with 270 species of birds. Stay overnight. There are numerous activities with which you can start your day. 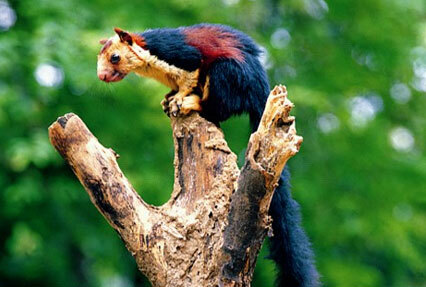 Opt from an early morning wildlife safari, bird screening in the park or a Coracle ride on the Kabini River. 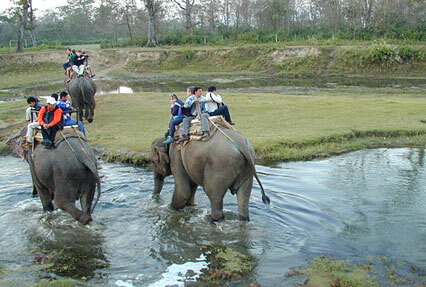 The evening is scheduled for an elephant ride or a jeep ride into the park. Stay overnight in your jungle resort. Post breakfast, begin driving to B R Hills, also known as Biligiri Rangan Hills. Once you reach, check-in your tents. 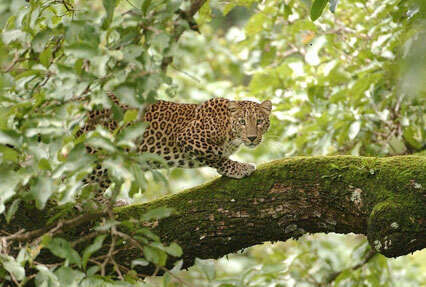 Later, embark on a trekking tour to explore the spectacular wildlife of the region around BR Hills. Admire the surrounding lush greenery. Overnight in tents. Day 7 is for morning and evening wildlife viewing and bird watching in the Biligiri Ranga Swamy Temple Wildlife Sanctuary or simply BRT Wildlife Sanctuary. Sprawled in an area of 540 kms, this park has a diverse wildlife including Sloth Bear, Deer, Blacknaped Hare, Common Langur, Indian Pangolin, Small Indian Civet, the rare Four-horned Antelope, Clawless Otter, Indian Porcupine and around 254 avifauna species. Overnight in tents. After breakfast, hit the road to Bandipur National Park, one of the most well-known wildlife reserves in the southern region of India. It is also one of the most well-preserved ones. On arrival, check-in your jungle resort. Enjoy a sumptuous lunch, followed by a jeep safari inside the park. Overnight stay in the resort. The 9th day of the tour is scheduled for morning and evening wildlife viewing as well as bird watching in the park. The park is home to various wildlife species such as tigers, sloth bears, muggers, Indian rock pythons, chital, gray langurs, Indian giant squirrels, Indian chameleon, Indian pond terrapin, hoopoes, Indian rollers, brown fish owls, crested serpent eagles etc. Overnight stay. Post breakfast; begin driving to Ooty, popular as “Queen of Hill Stations’. This hill town of South India receives tremendous footfall every year. Complete the check-in formalities at your hotel, on arrival. Spend the day at your own discretion- you can visit the popular spots such as Ooty Lake and Botanical Garden, shop at the local market, interact with the locals, take a stroll around the tea estates etc. Overnight in the hotel. On the 11th day of the tour, begin driving to Munnar, a beautiful and very well-known hill station of Kerala. It is also known as the spice capital of the state. 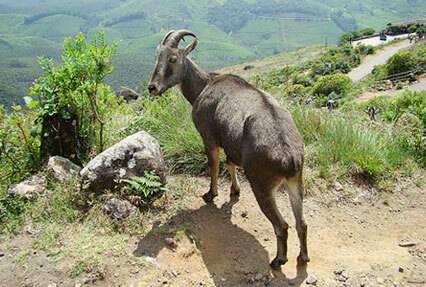 Get transported to Eravikulam National Park. On arrival, check-in your resort. The rest of the day is free for leisure activities- you can take a nature walk or simply admire the surrounding lush greenery. Overnight in the resort. Day 13 is scheduled for a morning and evening boat cruise inside the sanctuary. Spot wildlife including elephant, sambar, tiger, gaur, lion tailed macaque, Nilgiri langur, mongoose, fox, leopard, barking deer, mouse deer, Dhole, and around 320 avifauna species. Stay overnight. Post breakfast, begin driving to Kumarakom, a well-known tourist attraction. On arrival, complete the check-in formalities at your pre-booked hotel. Spend the day in doing the activities of your interest- explore the surroundings on foot, visit the popular attractions such as Vembanand Lake, where you can enjoy a boat ride. Stay overnight in the hotel. After breakfast, indulge in backwater cruising along the coconut groves, paddy fields and the nearby villages. 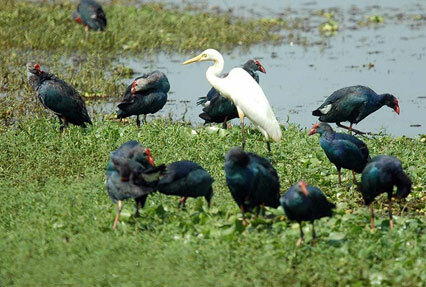 Later, get transferred to the Kumarakoram Bird Sanctuary, a paradise for enthusiasts of bird watching. Complete the check-in formalities at your jungle resort. During your bird watching cruise, spot various avifauna species like waterfowl, cuckoo, owl, egret, heron, parrots, teal, larks, flycatchers, wood beetle, along with migratory birds like Siberian Crane. Overnight in the resort. After breakfast, get transported to Kochi by road. After arrival, the day is for sightseeing that may include Mattancherry Palace, St. Francis Church, Santa Cruise Basilica etc. Post dinner, get on-time transfer to the airport to board a flight to your onward destination.